What’s In A Shaolin Warrior’s Refrigerator? 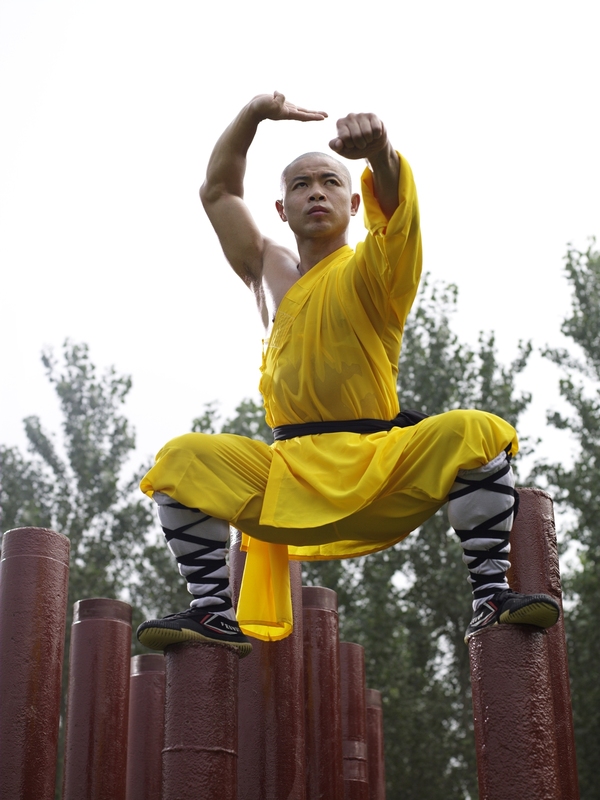 Shaolin Warriors alongside the majority of Chinese people see food as medicine and eat in accordance with traditional Chinese Medicine. Foods have Yin and Yang qualities and we alter what we eat in accordance with how our health is that day. For example, if we have a cold then we’ll make chicken soup with dried red plums, Goji berries and ginger, an excellent tonic soup. Inside the Shaolin Temple we eat vegetarian food but outside the temple, the fighting monks are allowed to eat meat if they feel their body needs it. Some people believe that all Buddhists are vegetarian but the historical Buddha was not a vegetarian. He begged for his food and accepted whatever was given to him. There is a strong philosophy of compassion in Buddhism which has led many Buddhists to become vegetarians. However in this article I’m not going to go into the ethics of being a vegetarian. I’m just going to give you an insight into a Shaolin Warrior’s daily diet. 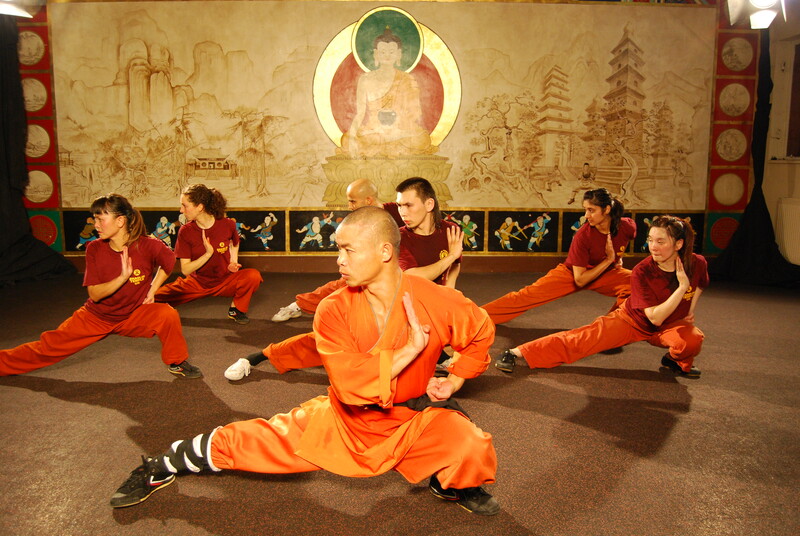 Natural Food Shaolin Warrior’s focus on eating foods in their natural state. We don’t eat energy bars or cereal, we don’t drink coca cola, protein shakes, alcohol, or water with ice. 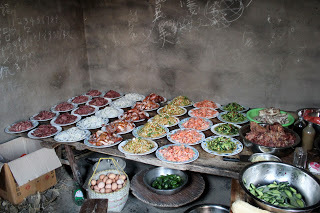 We eat a diet which is rich in fruit, vegetables, and good quality protein. 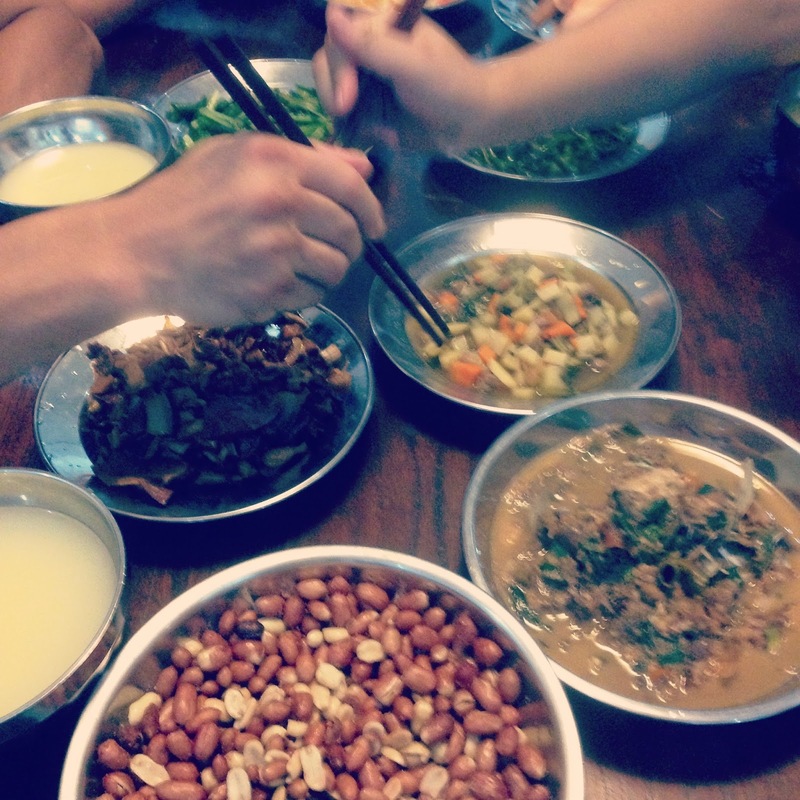 For carbohydrate we eat white rice, steamed buns or noodles. We drink water at room temperature, and lots of green tea. For snacks we eat nuts and fruits. Carbohydrate – The Difference Between East & West Before I came to the West I’d never seen brown rice before. I, along with the majority of Chinese people don’t like the taste of it so it’s not something we eat. There seems to be a backlash against refined carbohydrates or even carbohydrates in general in the West. But anyone who trains hard needs to eat carbohydrates. ( I eat about three times the amount of carbohydrate the average person eats because I train so much. )White rice is a source of dietary fiber, which is important for a healthy digestive system, it contains vitamin B1 and is low in fat. Daily Food Our daily food is stir fried vegetables and protein with carbohydrate, the most common protein being lamb, chicken, pork or tofu (now that I’m in the West I eat turkey and Quorn which is a good source of lean protein). Lamb is usually grass fed which is better than grain fed, it’s Yang and is good to eat if people are low in energy. We rarely eat beef. We eat protein with every meal because it helps us to sustain energy during our training. For our evening meal we don’t eat any carbohydrate unless we’re going to train that evening. 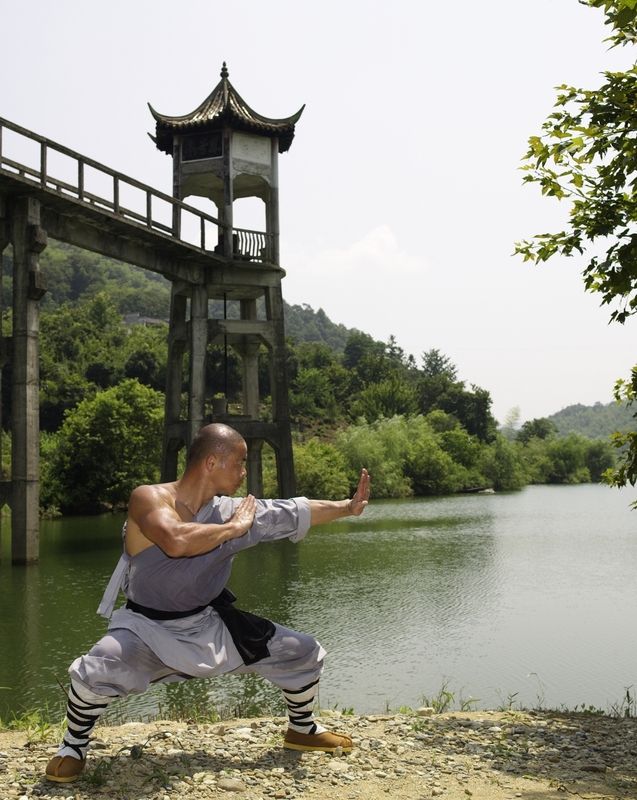 Timing Is Important In this picture, we’re having breakfast at the Shaolin Summer Camp. 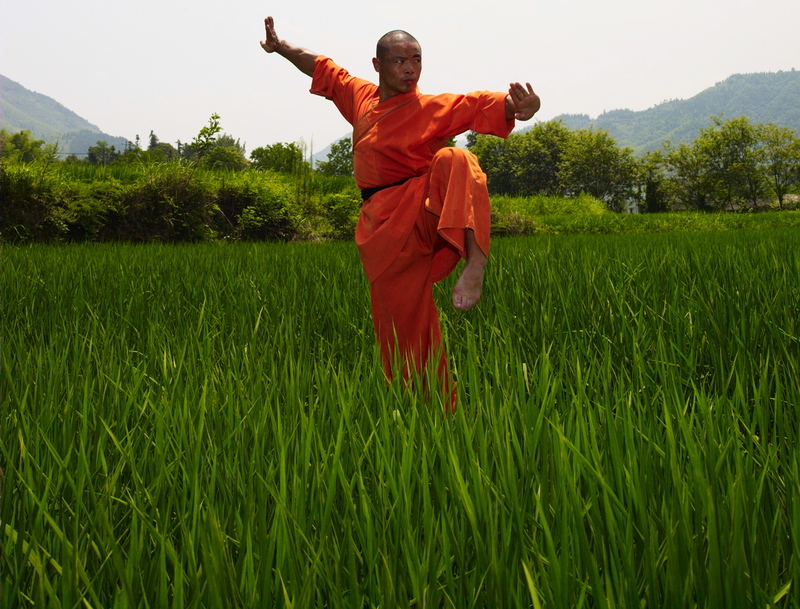 Shaolin Warriors believe that the time they eat is as important as what they eat. We eat our heaviest food at breakfast because we need this energy for training, a slightly lighter lunch then less food in the evening. Studies have shown that eating breakfast aids weight loss. Eating within an hour of exercise burns a little more fat and helps to promote leanness. Eating before exercise enhances performance and increases the amount of calories burnt. Chinese food – excluding Chinese food in Western restaurants which is usually not authentic Chinese – combines food in such a way that not only is it packed with nutrition but it’s also an immune booster. 5 Vegetable Immune Booster A good example of this, and a dish to eat in the evening is five vegetable stir fry with ginger. Take five vegetables, preferably five different colours, cut them thinly then stir fry them with ginger, garlic and chili. I suggest that one of your vegetables is red pepper which has a high vitamin C content, and shitake mushroom which enhances immunity . Ginger aids digestion, chili contains capsicum which has anti-bacterial qualities and garlic is one of the most powerful healing foods that you can include in your daily diet to boost immunity. This simple dish not only tastes great but helps to prevent cancer, the common cold, gives you your five a day, and cannot make you fat. Although our diet is Chinese, you don’t need to start eating Chinese food to change your diet to healthy, you just need to make sure that you’re eating fresh fruit and vegetables with good quality protein and carbohydrate. Food in its natural state has all the nutritional benefits you need. Avoid processed food. Live simply and keep your diet simple. That way your mind and body will be in balance.